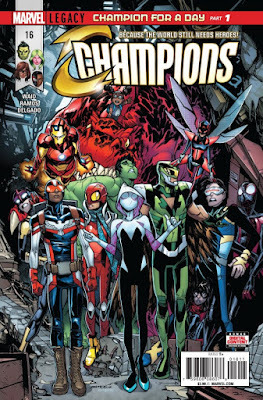 Here are the top 10 new comic books on January 17, 2018, featuring characters or talent of color. 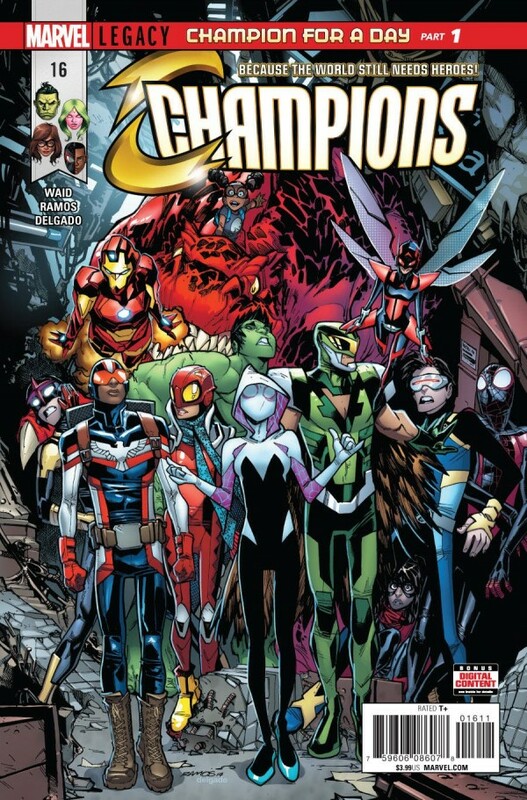 Summary: CHAMPION FOR A DAY, PART 1 - Following their staggering loss in their adventure with the Avengers, the Champions decide to double down on their mission to make the world a better place – but they know now they can’t do it alone! That’s right – it’s time for a membership drive! Summary: Ethan ""Elvis"" Avery just wanted to serve his country. Instead, he’s been changed into a monster! - Tasked as the government’s own living, breathing, ticking time bomb, Ethan retains no control when the monster takes over. Cheaper than a nuclear warhead and twice as effective, Ethan fights to rein in the damage he unleashes when the beast inside him springs free for one hour a day. 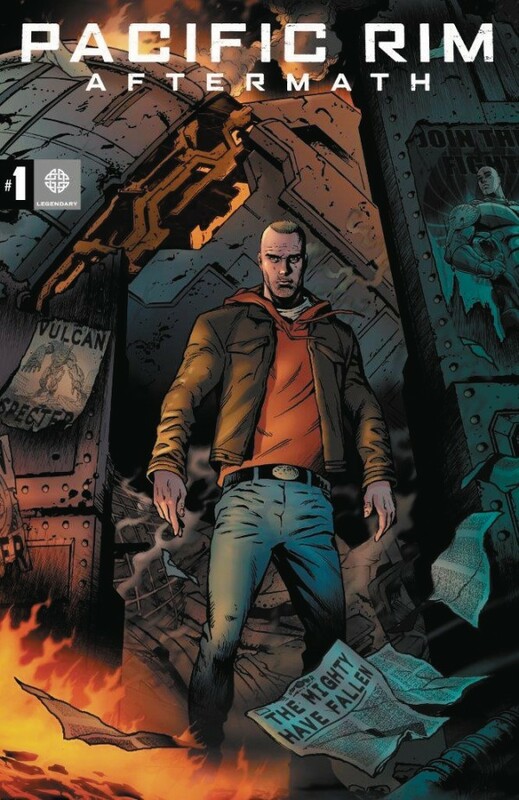 With everyone around him in danger, Ethan struggles to contain the DAMAGE he inflicts on the DC Universe. Summary: The United States of America, 2022.- The loss that ripped them apart drove one into the arms of the police state and the other towards a guerrilla war against the white supremacy. Now they meet again. This is a story of a war. Summary: Survival of the Fittest PART 2! 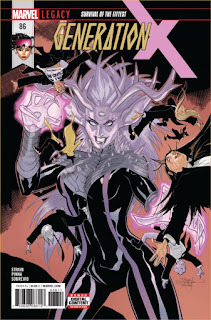 The kids of Generation X are trapped inside the X-Mansion with M-Plate stalking them! Now, without Jubilee, Gen X must defend themselves from the vampire mutant. All this, plus…the return of another original Gen X-er! Who is it? You gotta read to find out! Summary: “A WORLD OF OUR OWN” finale! 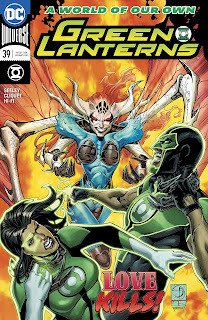 Green Lanterns Simon Baz and Jessica Cruz face down a Chimera monster as the conflict on Ungara comes to a head. 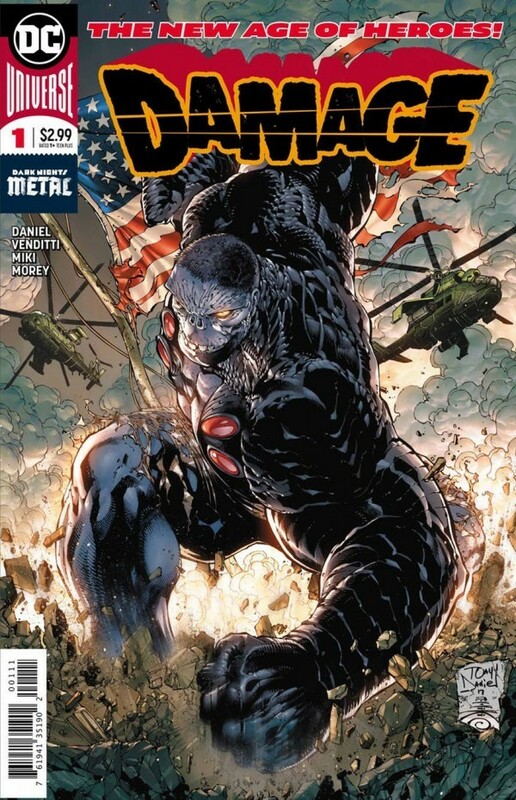 With the power of a hundred alien races, this beast plans to wash Ungara and the Green Lanterns clean with a red tide of blood and violence. 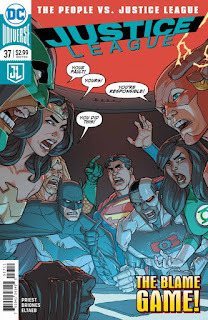 Summary: “JUSTICE LOST” part four! 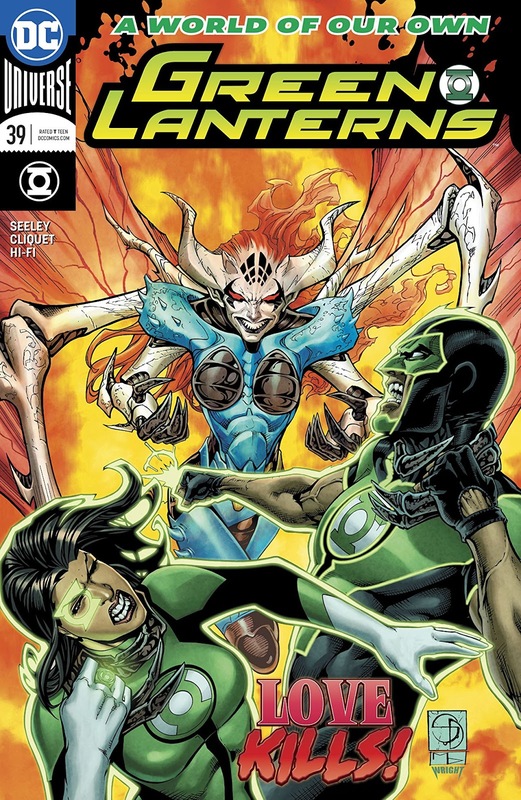 As public confidence in the League continues to fall, strained relationships within the team are set aside when Simon Baz is kidnapped by the mysterious figure known as the Fan: a zealous Justice League acolyte who was inspired by the team as a youth and who now deals death to the League’s enemies. 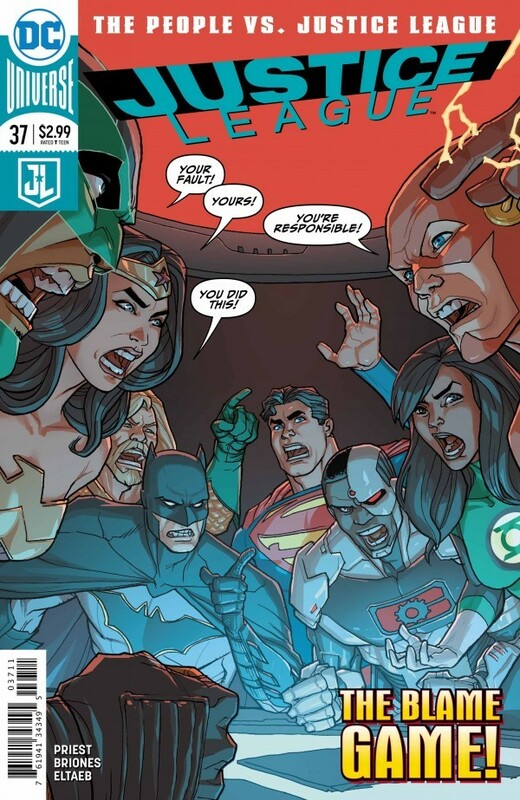 The Fan knows literally every detail about the League membership’s powers and tactics, and easily turns their own systems and resources against them “for their own good. Summary: Prepare to return to the epic universe of Jaegers and Kaiju with Pacific Rim Aftermath, the official comic book prequel to the highly anticipated new film Pacific Rim Uprising starring John Boyega and coming to theaters March 2018. Santa Monica, 2034. In a city that was once the jewel of the west coast, a new world has emerged: one rising up from the ashes of giant robots and giant monsters. In this futuristic aftermath, we will meet a new generation of survivors, including Jake Pentecost, son of Stacker Pentecost, who is searching for answers behind the death of his Legendary father; Griffin, a Jaeger pilot who has gone from using his skills to defend the world to piloting an illegal Jaeger enforcer for a mob boss; and the Mech Czar, a techno-criminal overlord who rules the underworld with a steel fist. 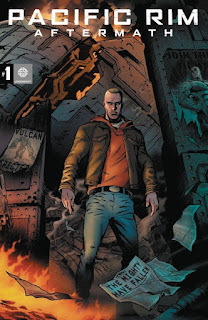 Set against a neo-noir backdrop of street gangs, Kaiju worshipers, and Jaeger Scrapyards, a mysterious but familiar figure arrives with a dangerous agenda! 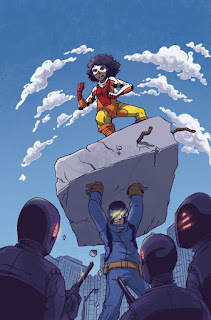 Summary: Ohio's new superheroes, Cosmosis and Amina, have barely survived taking on the soldiers from Foresight Corp. 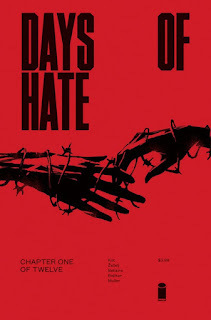 The enemy knows their secret identities, and has their parents in custody, forcing the heroes to go into the belly of the beast to reunite their families. 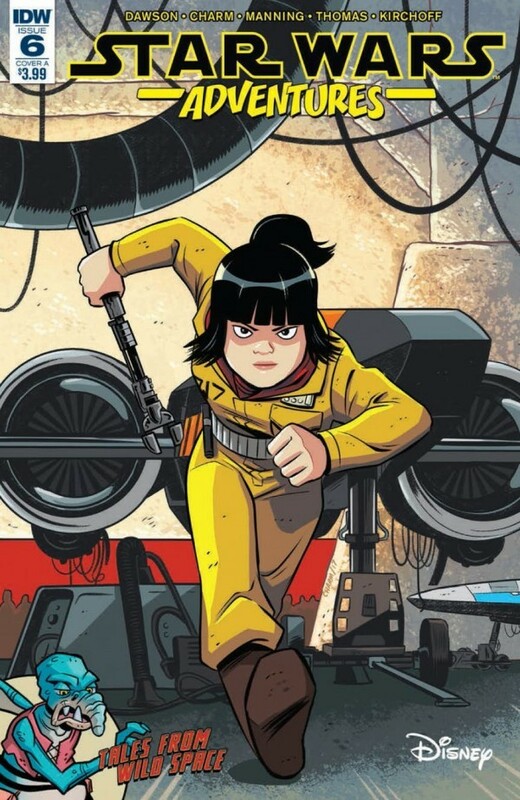 But their new ally Abbie is taking on Foresight in a different way, and the secrets she digs up may turn the tide of battle. Summary: THE NEGATIVE ZONE WAR Part 5! 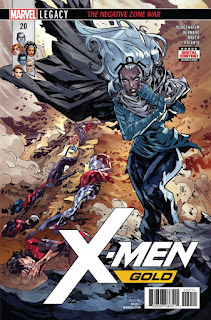 The X-Men's victory against the might of Scythian has come at a cost…which might kill them all! How can the X-Men survive on a barren planet? You DO NOT want to miss the status quo-altering final page!